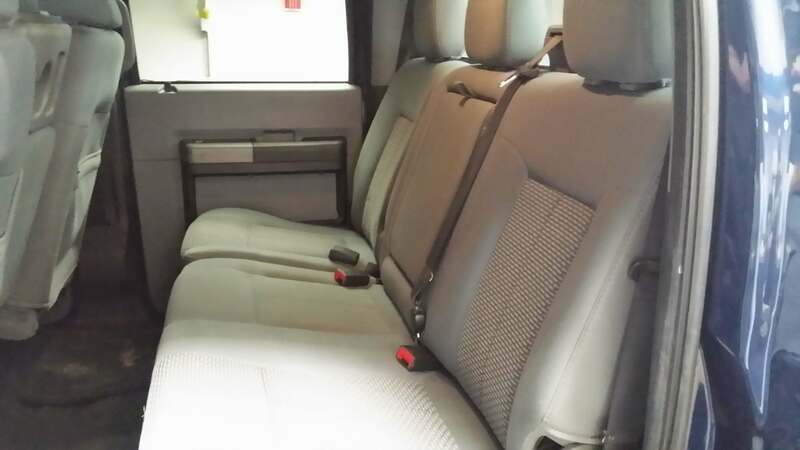 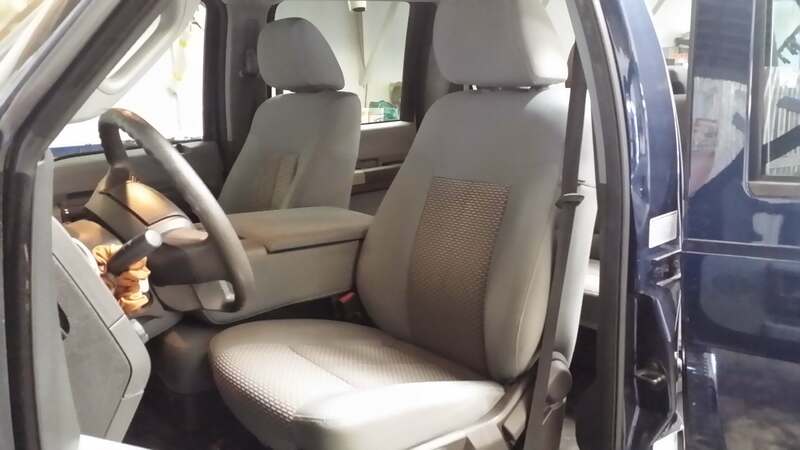 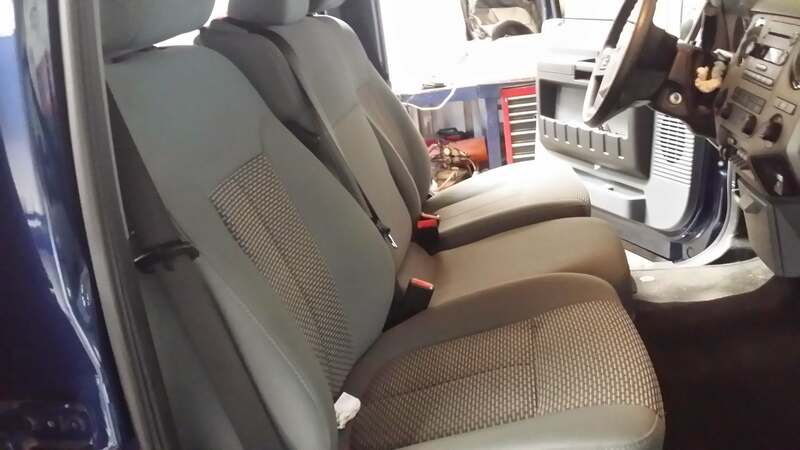 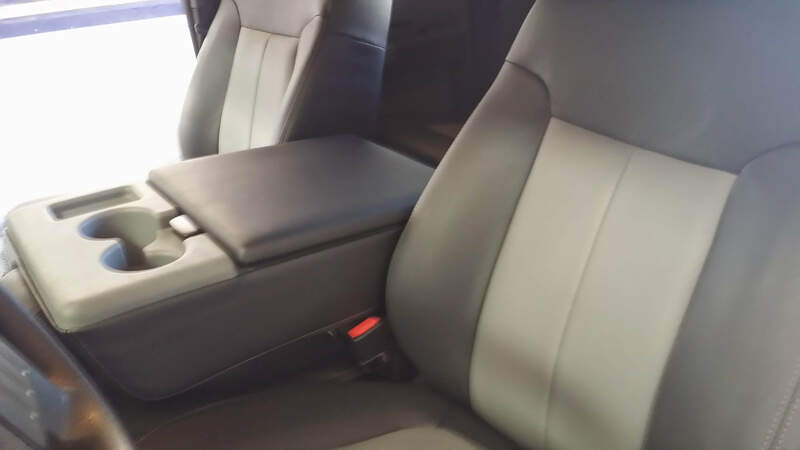 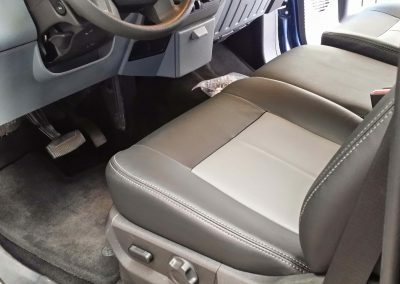 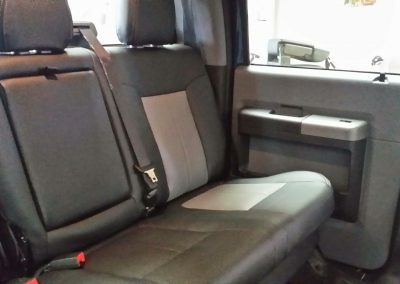 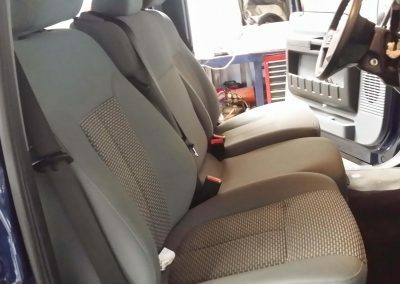 Here is a leather seat upgrade kit in a 2009 Ford F-350. 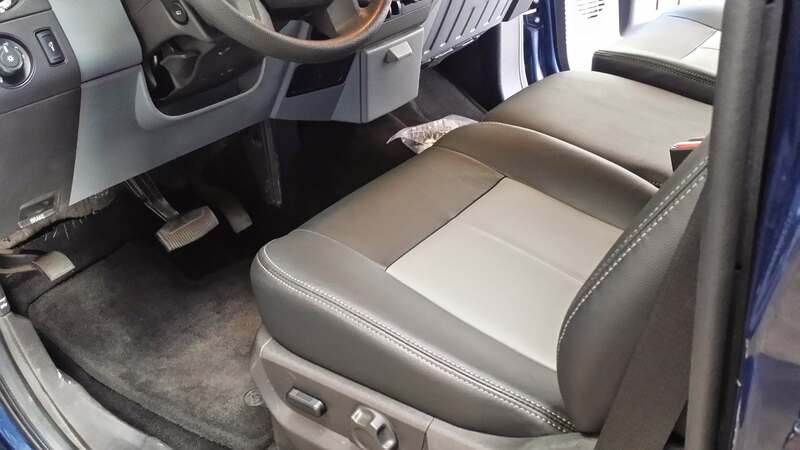 The customer’s Ford F-350 was originally equipped with a light gray cloth interior. 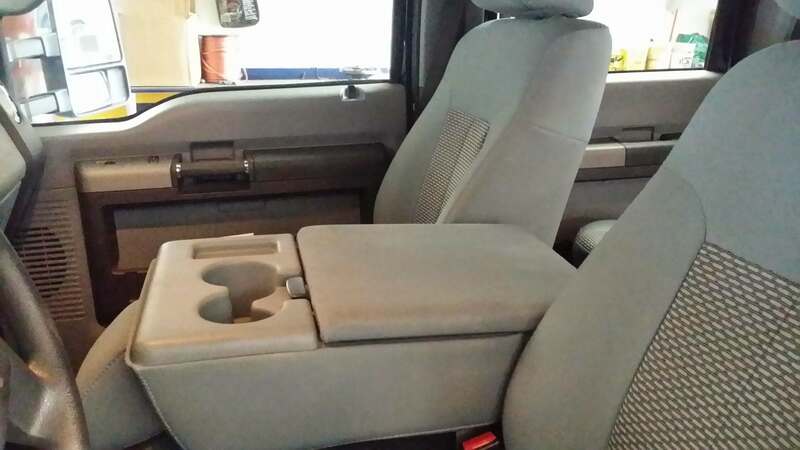 Before our customer came to us she loved everything about her truck except the original cloth upholstery. 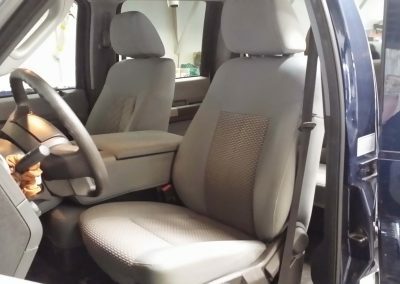 As a local to the Temecula Valley she uses her truck for everything including business as well as a ranch truck to tow her horse trailer. 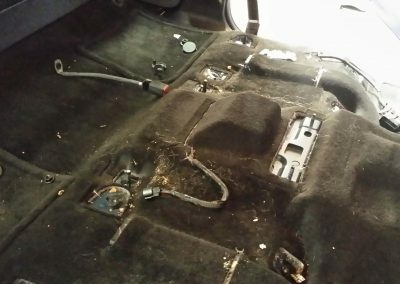 Her original cloth upholstery was hard to keep clean, and she needed something easier to clean and maintain. 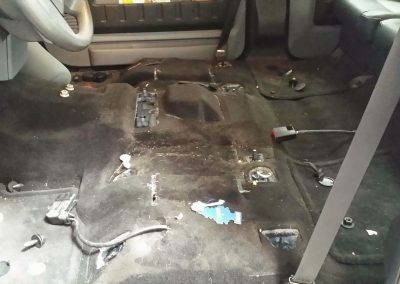 She contacted the local Ford dealership and inquired about a leather seat upgrade. 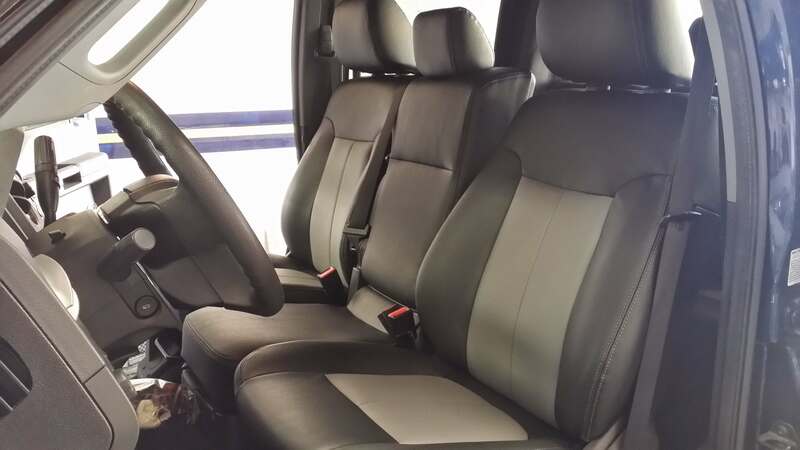 She asked the dealership representative if there was a local upholstery shop in the Temecula valley they recommended whom could complete a leather seat upgrade kit for her truck. 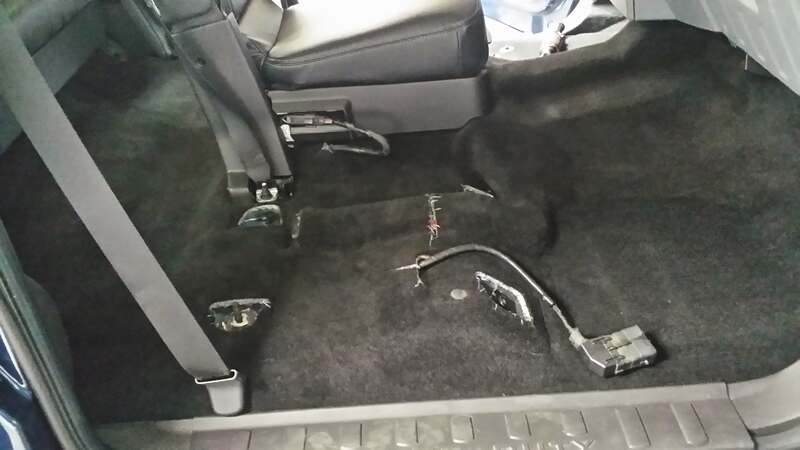 After being referred to our upholstery shop in Temecula she contacted us for a quote. 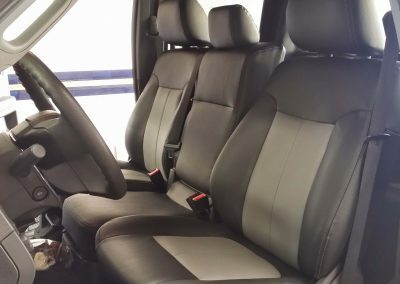 After speaking to her over the phone and explaining the different options available for a leather seat upgrade kit i.e. 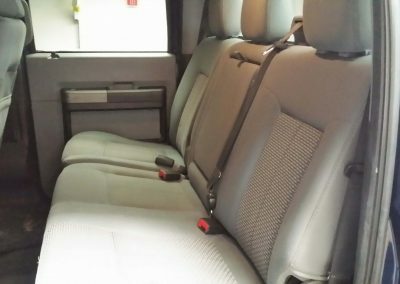 two tone feature, contrast stitching, piping, etc. 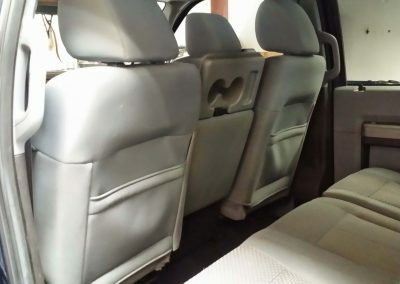 she came in and viewed the wide variety of colors available. 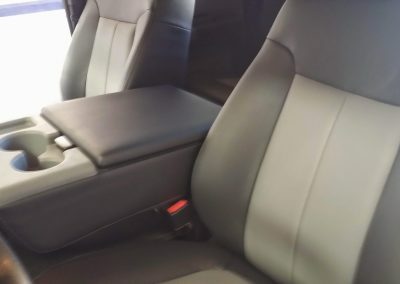 Due to the color of the rest of the interior, she decided to go with a two tone leather upholstery scheme that really turned out nice. 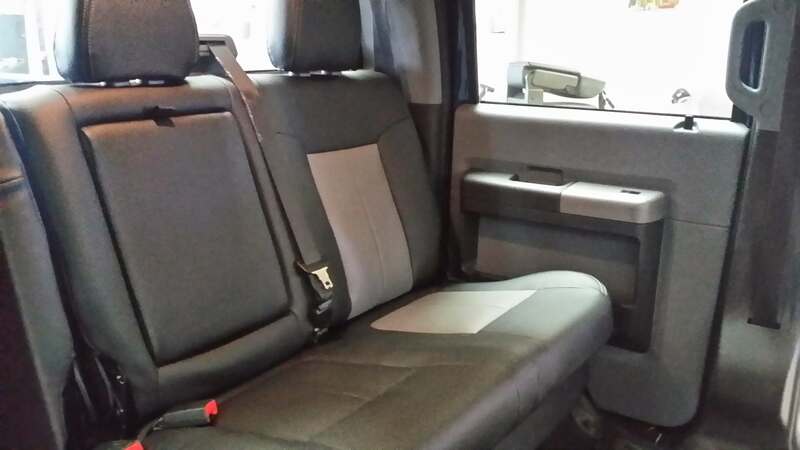 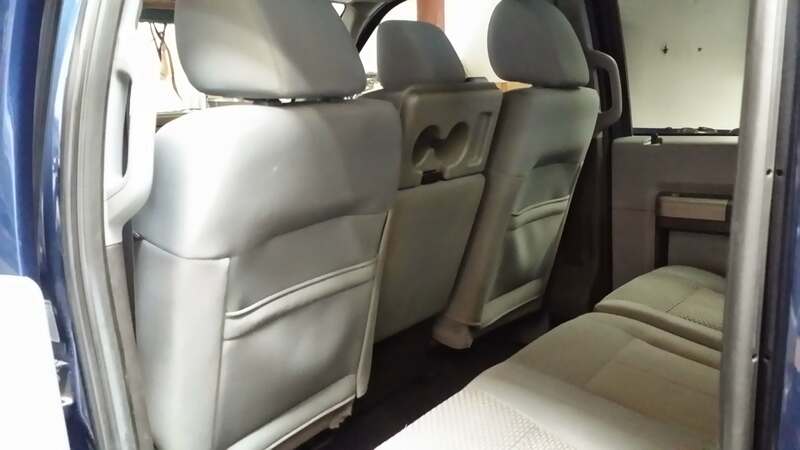 She chose a light gray leather for the inserts and a black leather for the surrounding areas. 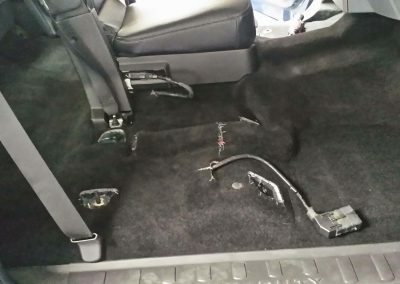 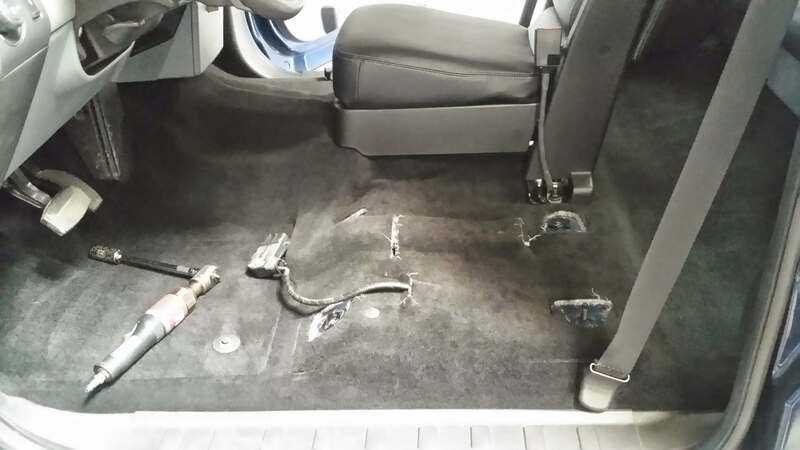 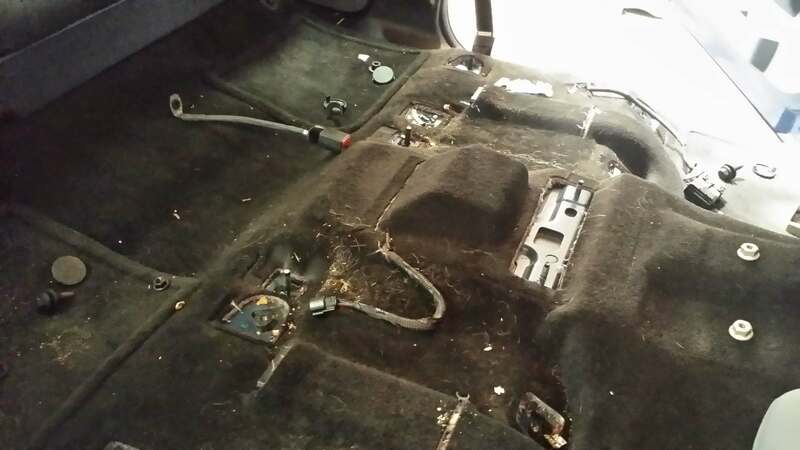 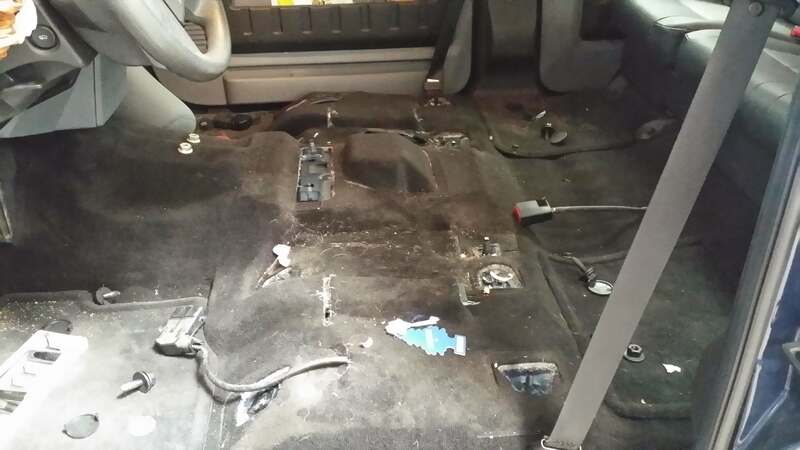 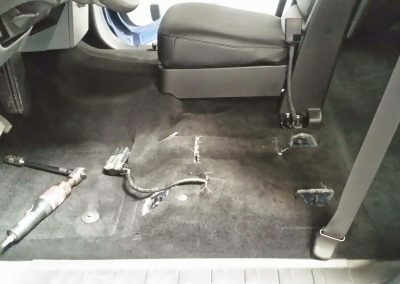 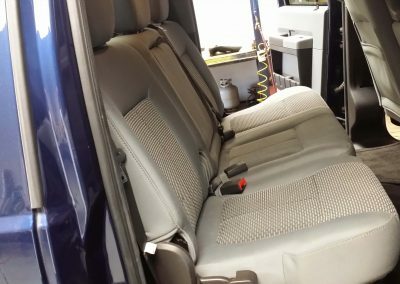 While completing the installation of the leather seat upgrade kit at our upholstery shop located in Temecula we made sure to clean the carpet while the seats were out of the truck. 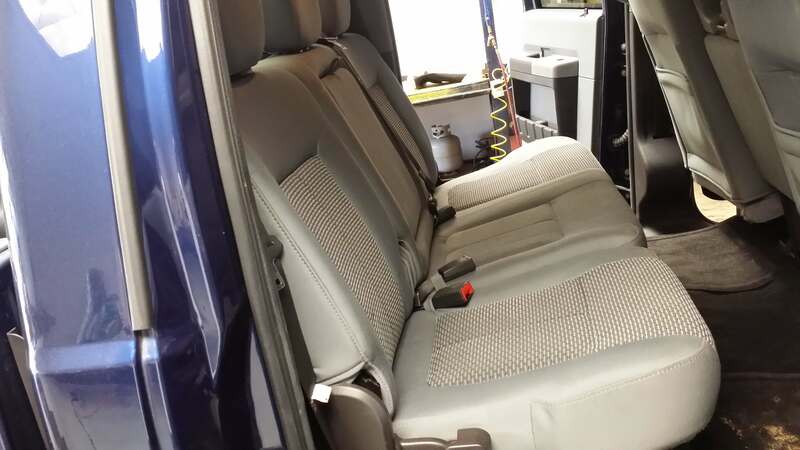 These areas are usually hard to clean with the seat in place, therefore we always take the opportunity to make sure all these areas are cleaned before reinstalling the seats. 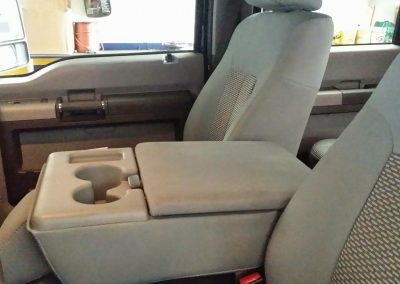 Below are before and after pictures of the leather seat upgrade kit installation of her Ford F-350.